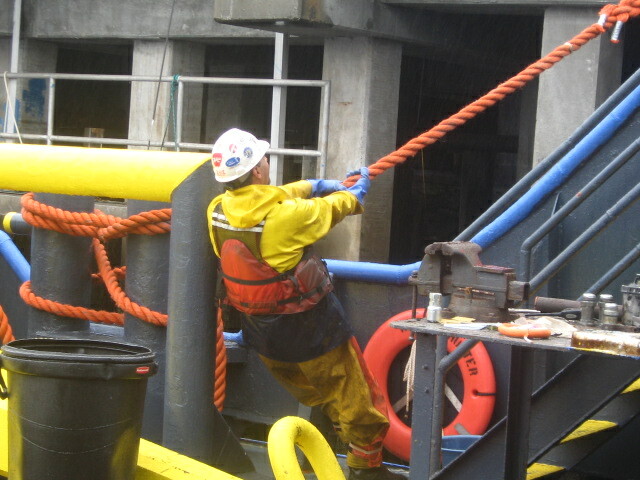 As we ended our first summer and fall working the Port Nicholson site, we were all sad and a bit discouraged. We had hoped to be able to penetrate the ship and find its treasures. This unfortunately wasn’t the case. 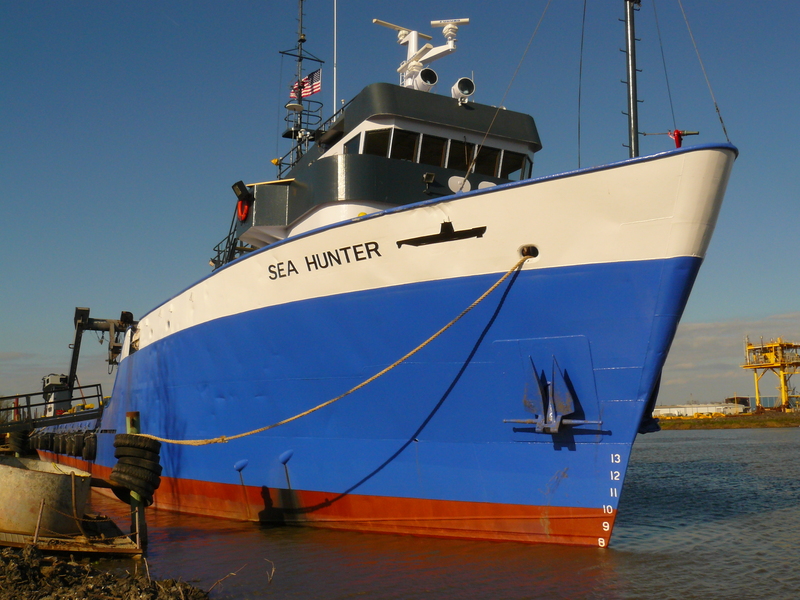 For most of us, it all started in Houma, LA with the purchase of the M/V Sea Hunter. Those were long hot months, restoring and refitting her with needed equipment to work our site, then came the cold rainy spring in Maine while we worked hard to finish. Of course, Mother Nature played her hand and made it difficult at times while we were on our site. Though we knew it would be short of a miracle, we wanted to believe it was possible to pull up the treasures that lay 650’ below the ocean that first summer. Everyone worked hard and gave up a lot to do this project. We spent many nights, weeks and months away from our families and friends. We did jobs that were downright dirty and hard. We worked in all kinds of inclement weather. We agreed to a minimal wage as our payoff would come when we hit the big one. We believed, and no one wanted the season to end, but unfortunately, it was impossible to work the site in the winter. So the crew prepared for a long winter docked in East Boston. There was more than enough work to keep us going until the next season. There was the ongoing upkeep of both ships, constructing new ways to work our site and reviewing the many hours of footage we already had. Greg and a few other crew members met with different experts to build upon our knowledge. You never know what and who can bring something new to the table. Then on January 12, 2010 a devastating 7.0 earthquake hit the small country of Haiti. The epicenter of the quake was approximately 16 miles west of Port-au-Prince, the capital of Haiti. Of course this caused major damage to this already poor country. There was over 360,000 killed, 300,000 injured and over one million became homeless. If you know anything about Greg and Kathy Brooks, they have a soft spot for the people of Haiti. This is where Greg first got the treasure hunting “bug”. He, along with some of the crew had been there numerous times and met some wonderful Haitians that remain friends today. Greg and Kathy knew they had to do something. Not one for sitting back and letting others take the lead, Greg made the decision that he would somehow help in a big way. He met with the crew of the M/V Sea Hunter and explained what he wanted to do. He was going to solicit supplies to fill every inch of our ship and personally deliver it to the people of Haiti. He then asked who wanted to be part of it. He also explained that since it wasn’t part of anything to do with our venture, he would have to run it by his investors and that we would all be paid half of what we earned weekly. Without hesitation, every member of the crew agreed to do whatever it took. Our investors understood the magnitude of the destruction and agreed with Greg, that we needed to help in any way we could. So, what we thought would be a winter sitting at the dock, quickly turned into an experience of a lifetime!